Ofsted Inspections: Fairly without fear or favour…who are you kidding? It is hard trying to run an organisation whilst simultaneously trying to improve it: this is made doubly hard when you are doing so in an open environment. When you are constantly made aware of the unpopularity of your decisions by the very people whom you are trying to improve or trying to make improvements for. It really doesn’t help then, when the people above you behave in a way that makes you wish you could put them on the naughty step until they’re sorry – voicing their opinions which seem to contradict previous agreements, or putting pressure on you to change course. So no wonder that Wilshaw is ‘spitting blood’ over some of Gove’s alleged words and actions against Ofsted. Poor Wilshaw, I thought, that really has the potential to ruin your weekend. Then I read another quote from Wilshaw about Ofsted: ‘As long as we exist we will do the job fairly, without fear or favour’. And at this point I had to laugh at the sheer self-pitying and self-indulgent notion of this statement. How about you, Sir Michael, consider those F words from the perspective of the people who are at the mercy of your blunt instrument of torture improvement. Is Ofsted fair? I am the first to agree that schools need support and validation from an independent and external body in order to help improve achievement for all children in the country. But is the current system fair? No. A system cannot be described as being fair when it lacks a key ingredient for fairness: consistency. How is that fair? How can a school’s inspection result being mainly determined by the lead inspector’s whim and own personal interpretation of what the school ought to be doing be a fair system through which to judge the quality of education across the country? Is it any wonder that schools fear Ofsted? When it is so transparently clear that schools are not judged in a consistent or fair manner you can’t blame schools for living Monday to Wednesday 2:00pm in a state of fear. How can you prepare for something when you have no idea what tangent the inspection will go off on? Is the lead an early year’s specialist, a data obsessive (which normally means they can only interpret data if it’s presented in a way they like), someone who has judged the school before entering, someone who values PE above everything else, someone who prefers a particular teaching method? There is no consistency in what individual inspectors are looking for or think, so, schools cannot trust the teams entering their school. I appreciate that every school is different but that doesn’t mean inspections should vary so wildly. Inspections should be focused on the consistent effectiveness of schools over time. They should gather information and work with the leadership team to find out how good the school is based on agreed national expectations (no data myths) and against the school’s contextual information. 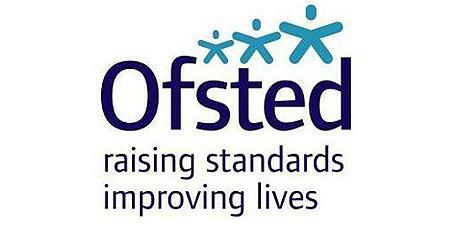 We would all know where we stand and we would all be able to welcome Ofsted into our schools. Actually the idea that Ofsted aren’t doing anyone any favours isn’t wildly inaccurate – but that’s probably not what Wilshaw was inferring. (I get it Mike, and you have my permission to charge into every free school like a massive bull in a tiny china shop and go knock yourself out.) I want to love Ofsted. In my particular experience I got the result the school needed in order to help get everyone on board with my improvement plan. But the inspection itself was a truly horrendous experience that did nothing to suggest that Ofsted are robust bastions of education. Instead I felt that it was a hoop, a barbed wired hoop being held by an ignorant bully, which I had to squeeze my school through in order to get on with improving my school. That is not right. So I support Wilshaw’s rhetoric of ‘fairness without fear and without favour’ but after he’s got to the bottom of his gripes with Gove – he’s still got a long way to go. Previous Article How do you solve a problem like Caleb? Good post again, dude. I read this as an assistant head and often wonder where my future lies. Listening to people who I have worked with who have gone on to headship, current and past heads who I have worked for and reading the media in general, I have no desire to go any ‘further’! It seems when you make that step from SLT teacher to head, you enter a whole other world where there is little but harassment, stress and constant, unbearable pressure. Thanks. But don’t get me wrong, being a Head is the best job ever! Difficult, frustrating and a lot of pressure…but brilliant! Boy does this ring true with my recent experience – not fair judgements made by any stretch of the imagination and the effects of the bullying tactics of the inspectors will remain with the whole staff for a long time to come…..great impact on learning! Reblogged this on Reflections of a Teachaholic. Excellent blog! We have just been ‘done’, it is rather odd though, got category 1, but I feel empty and almost emotionless! Keep on blogging, I do enjoy reading them.. All the best!